Posted February 11th, 2014 by & filed under Submitted, Underwear Snatchers. Posted February 10th, 2014 by & filed under Submitted, Underwear Snatchers. 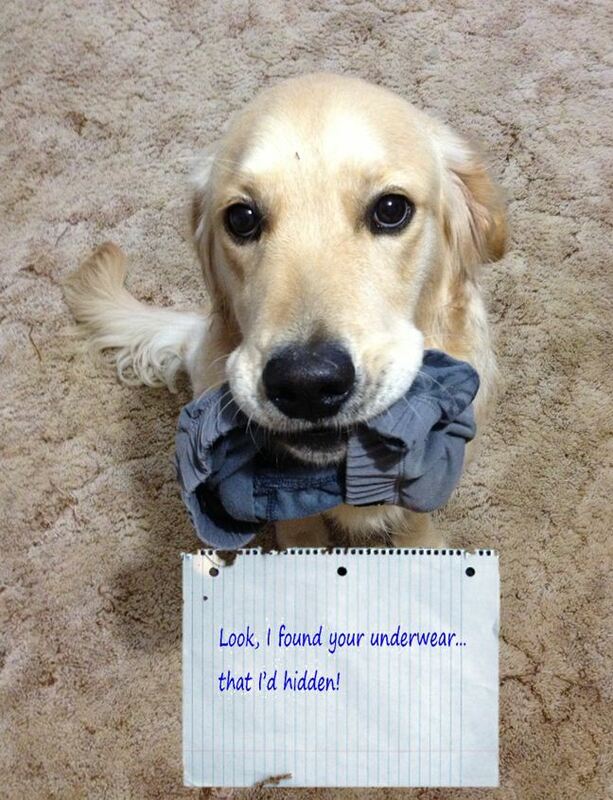 Look, I found your underwear… that I’d hidden. 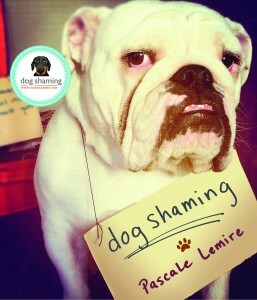 Clyde loves to sneak into our bedroom and steal underwear and socks – she’s obsessed! Why don’t you collect something normal, like rocks or tennis balls? 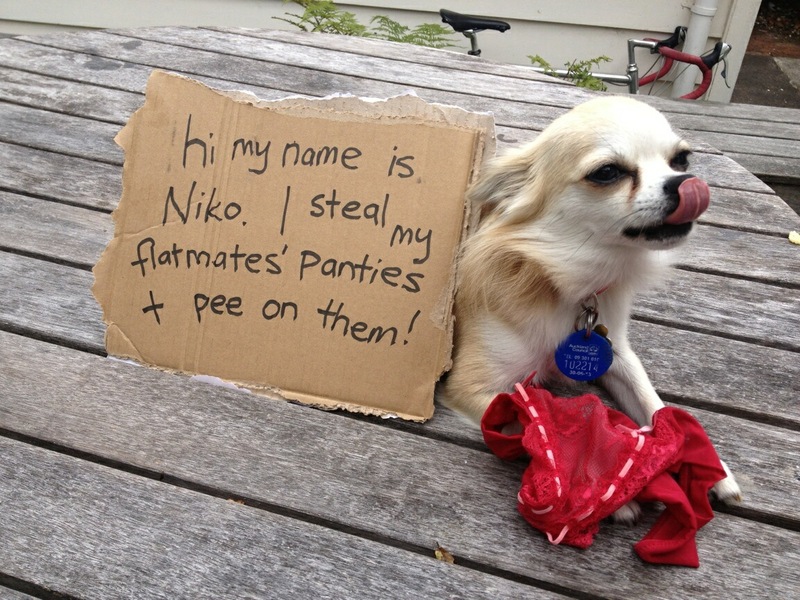 Posted February 5th, 2014 by & filed under Disgusting Doggies, Pilfering Pooches, Submitted, Underwear Snatchers. I’m Rico. I like to steal things from the dirty laundry basket and stash them in my bed. I then pretend to be puzzled as to how they got there. Posted January 30th, 2014 by & filed under Bad Babysitter, Best Friend Betrayal, Dogs and Tykes, Submitted, Underwear Snatchers. 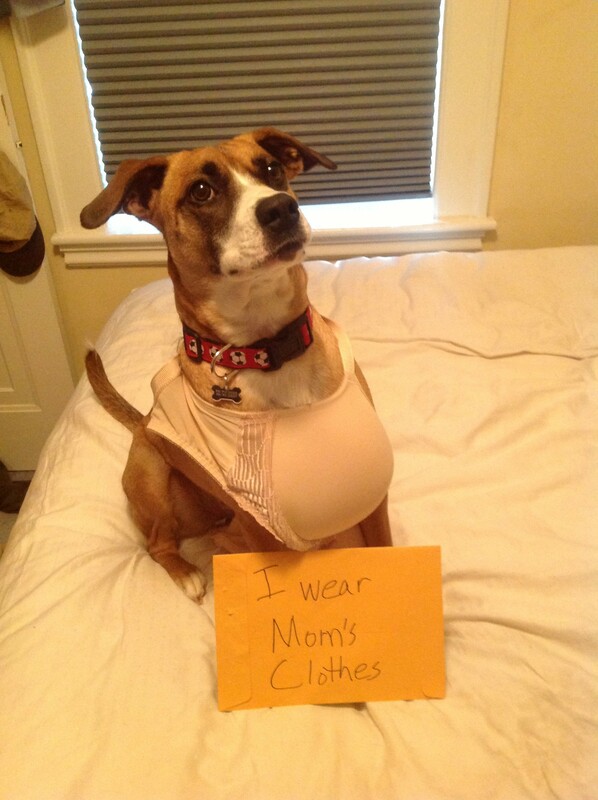 Posted June 23rd, 2013 by & filed under Submitted, Underwear Snatchers. 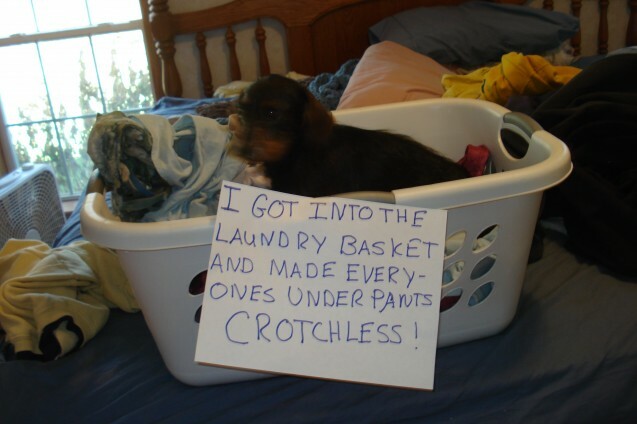 Monty chewed a dozen pairs of undies over the course of his month long stay. 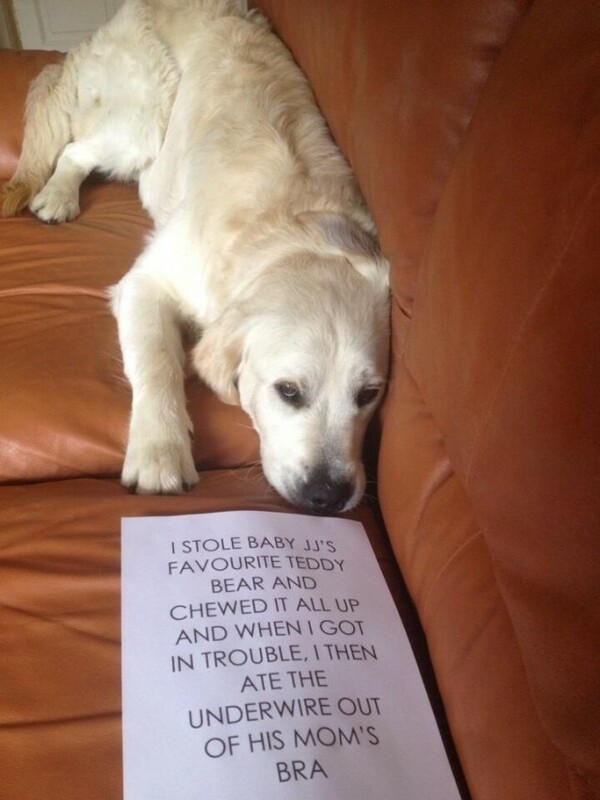 He always felt really bad afterwards though, as you can see. 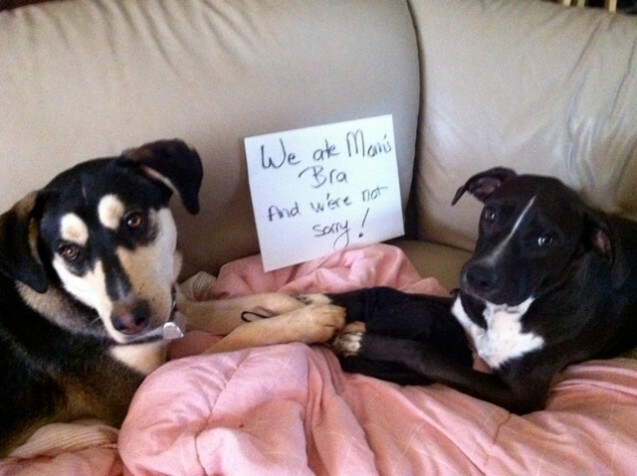 Posted June 6th, 2013 by & filed under Submitted, Underwear Snatchers. One of my wire hair dachshunds got in to laundry basket and ate our underwear, she was caught sitting basket. Posted June 5th, 2013 by & filed under Submitted, Underwear Snatchers. 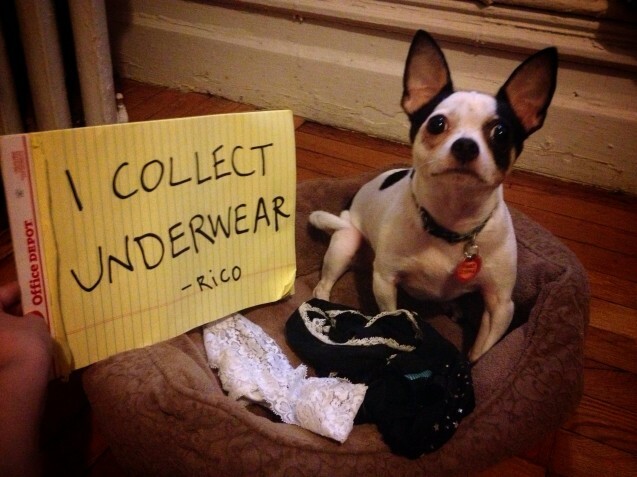 Posted May 22nd, 2013 by & filed under Piddle Party, Pilfering Pooches, Submitted, Underwear Snatchers. Left to his own devices Niko will head straight for the laundry basket. Posted May 14th, 2013 by & filed under Disgusting Doggies, Submitted, Underwear Snatchers. Scooby loves to lick everything. 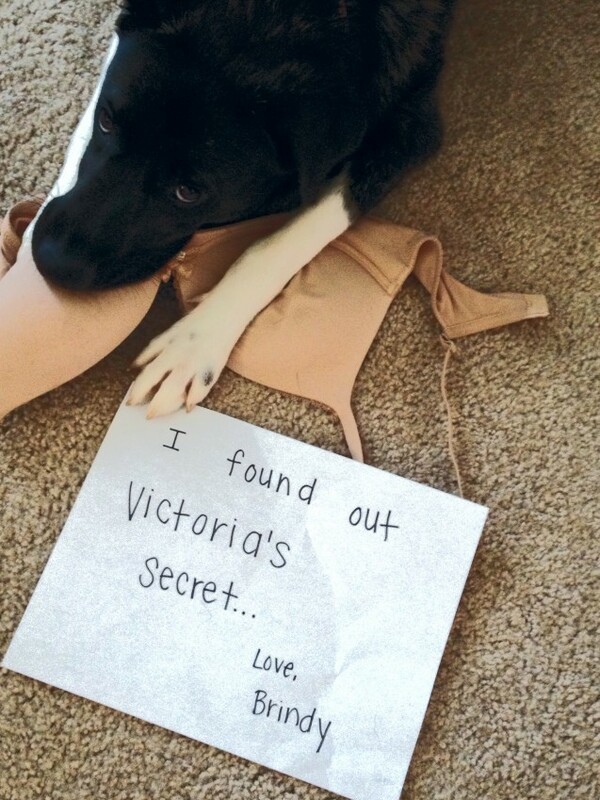 And as of lately… his new favorite thing is my bras. 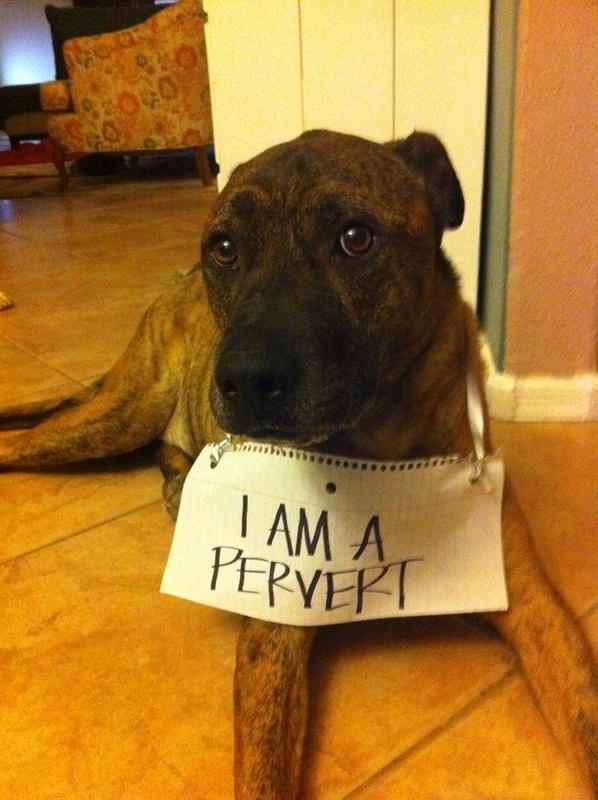 He is gross and has no shame!